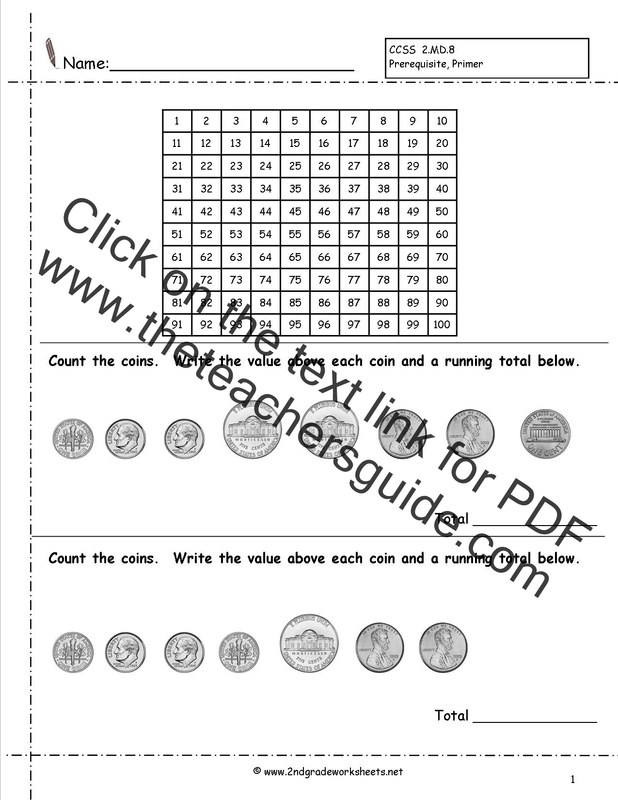 ** CCSS 2.MD.8 is the first time money is introduced as a standard. 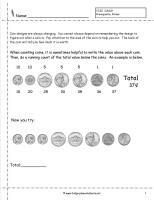 Students will need practice with coin identification, value, and counting before word problems are introduced. 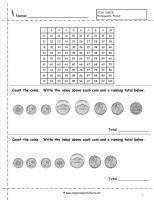 Common Core State Standards: 2.MD.8 Work with time and money. 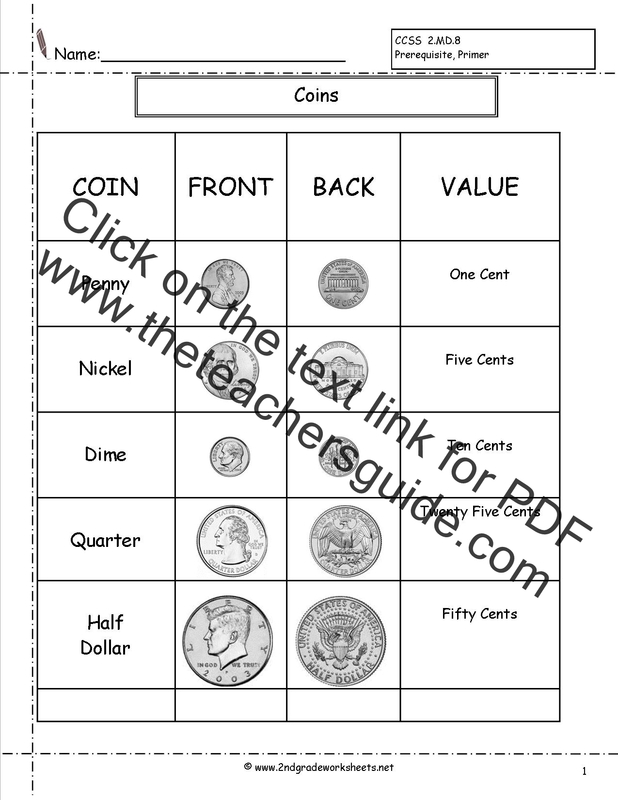 Reference page for coin identification and value. 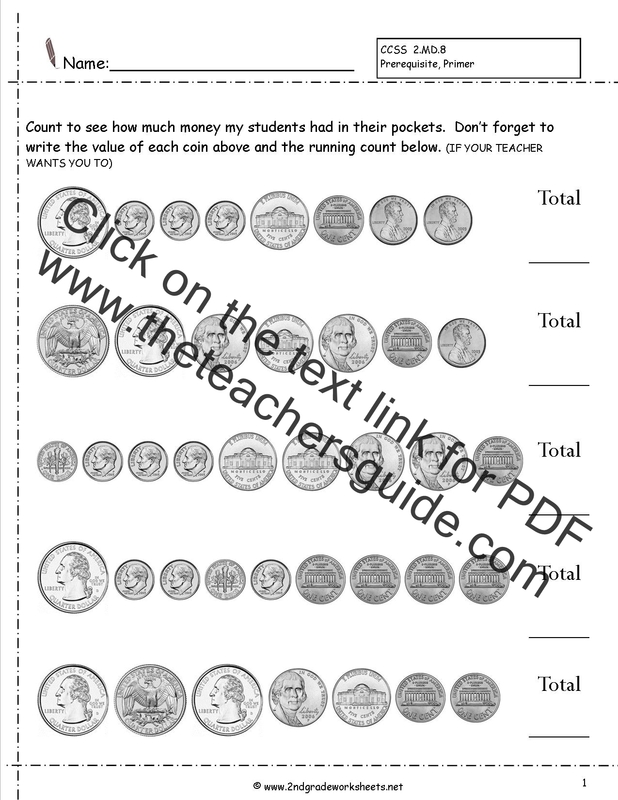 Page explaining how to count coin values to determine money amount. 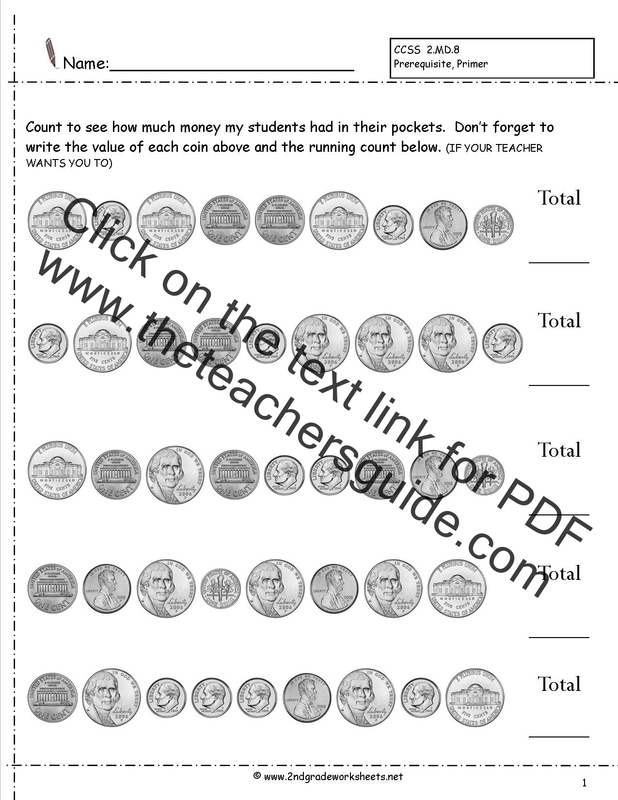 Students count coin values to determine amount of money. 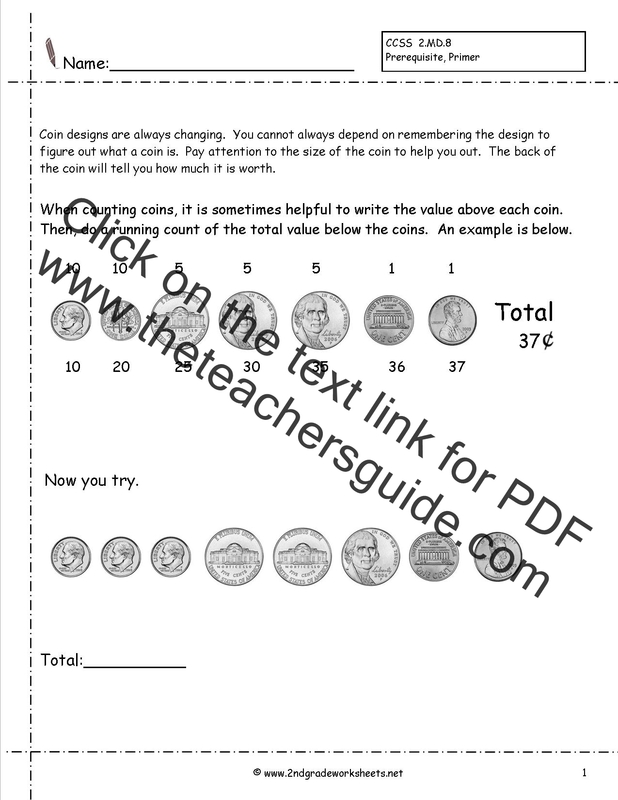 Coins are in order by value. 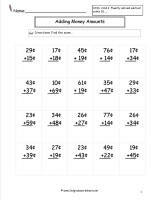 There are no quarters on these worksheets. No half dollars. 3 pages. 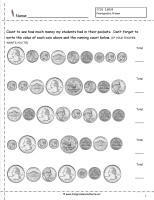 Students count coin values to determine amount of money. 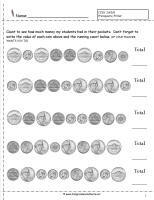 Coins are in order by value. 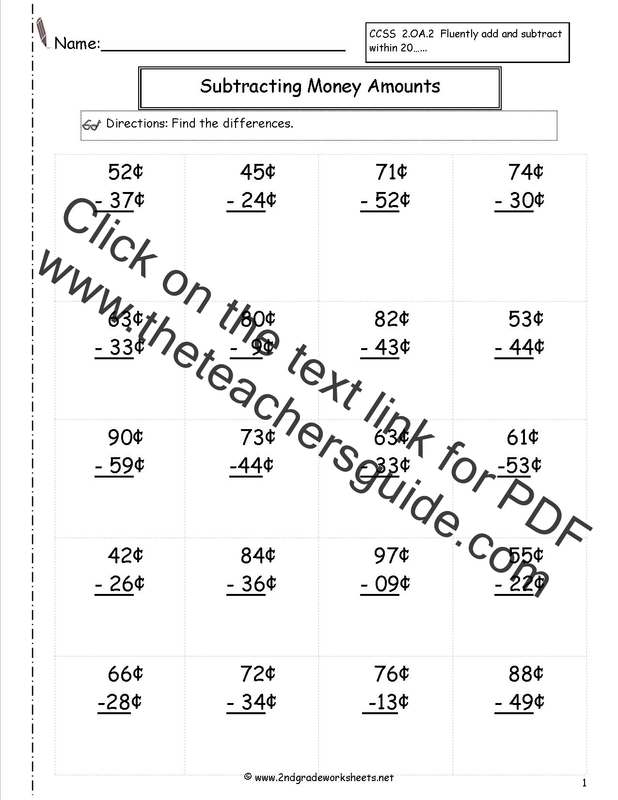 There are quarters on these worksheets. No half dollars. 3 pages. 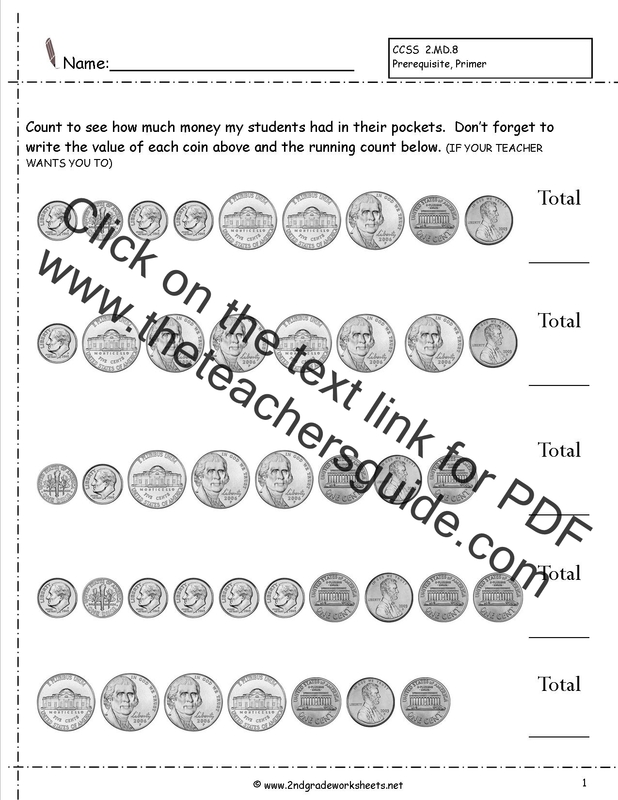 Students count coin values to determine amount of money. 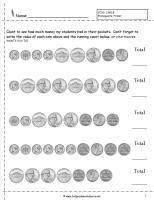 Coins are NOT in order by value. 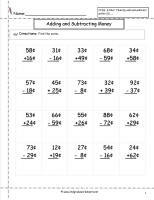 There are no quarters on these worksheets. No half dollars. 3 pages. 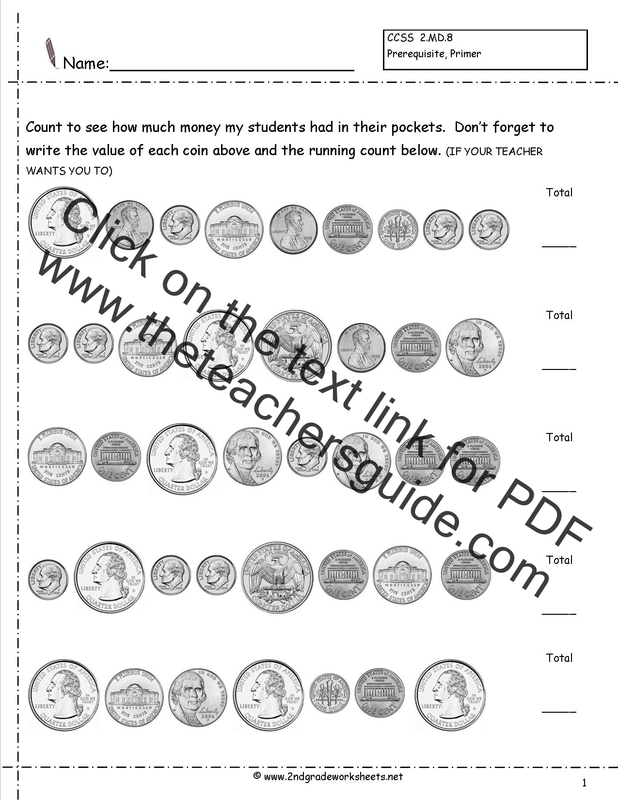 Students count coin values to determine amount of money. 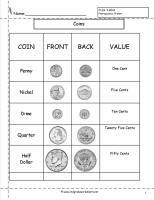 Coins are NOT in order by value. 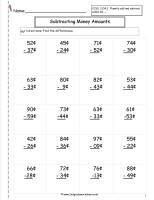 There are quarters on these worksheets. No half dollars. 3 pages. For RTI or struggling students. 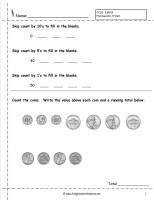 Practice skip counting and then apply it to counting coins. 5 pages. For RTI or struggling students. 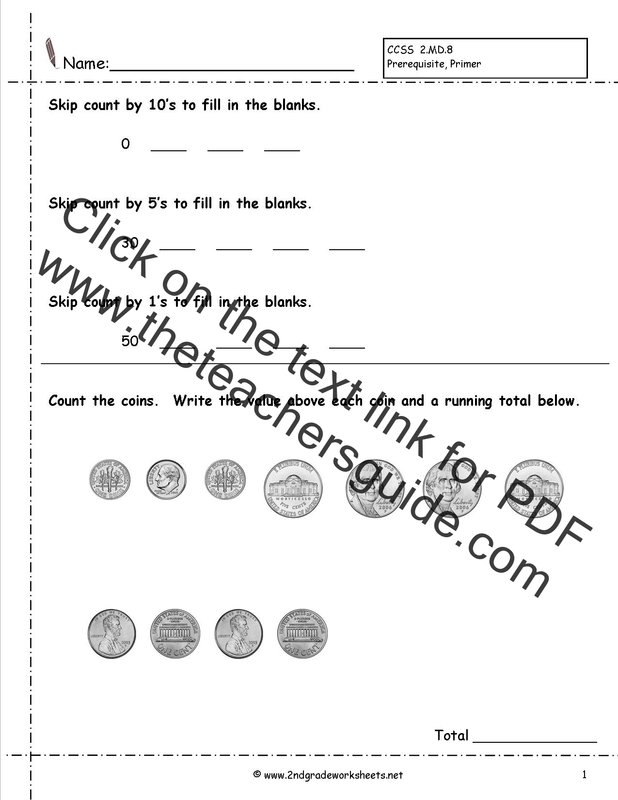 Practice skip counting and then apply it to counting coins. 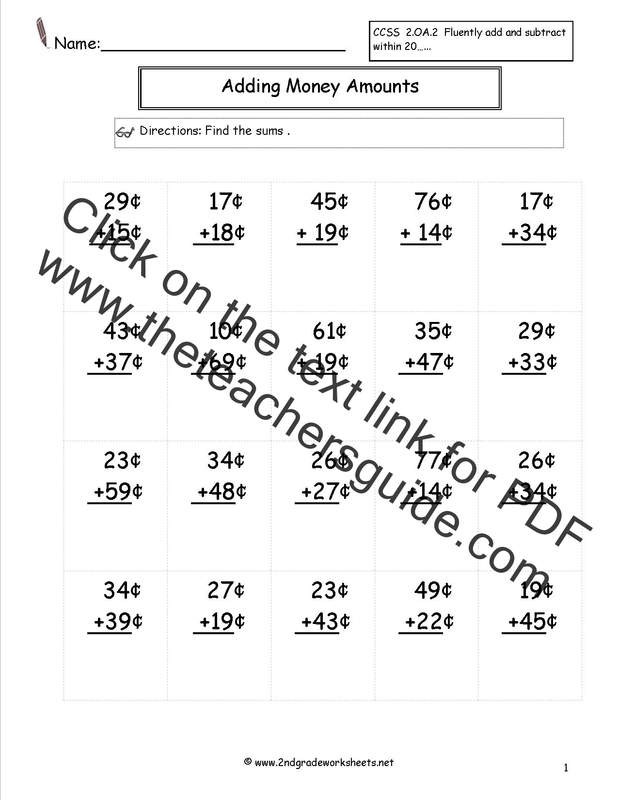 Includes a hundred chart. 3 pages. 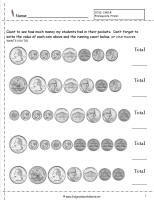 Students add two-digit money amounts. Some regrouping is required. 3 pages. 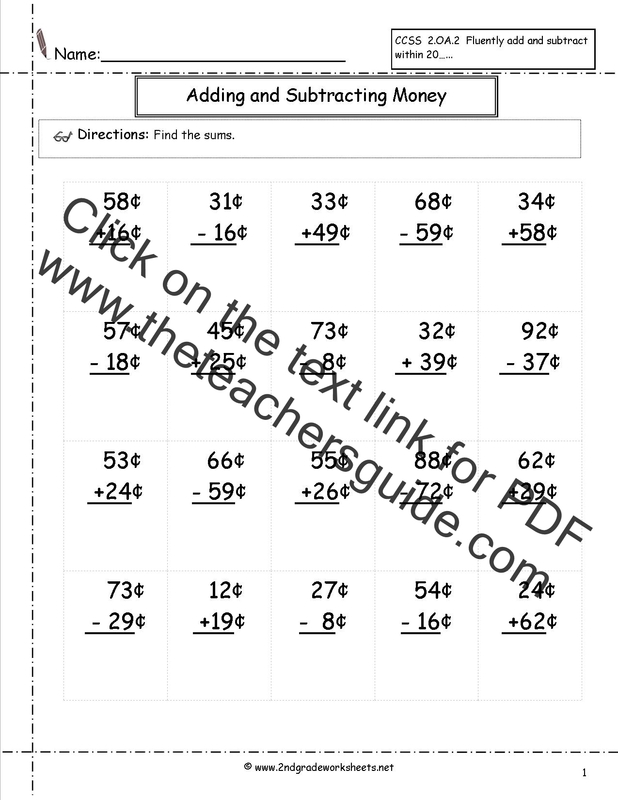 Students subtract two-digit money amounts. Some regrouping is required. 3 pages.